Ottawa’s E-Y Centre has 135,000 square feet of exhibition space and at the end of May 2018 it was jam-packed with an international who’s-who of defence, security and aerospace firms. 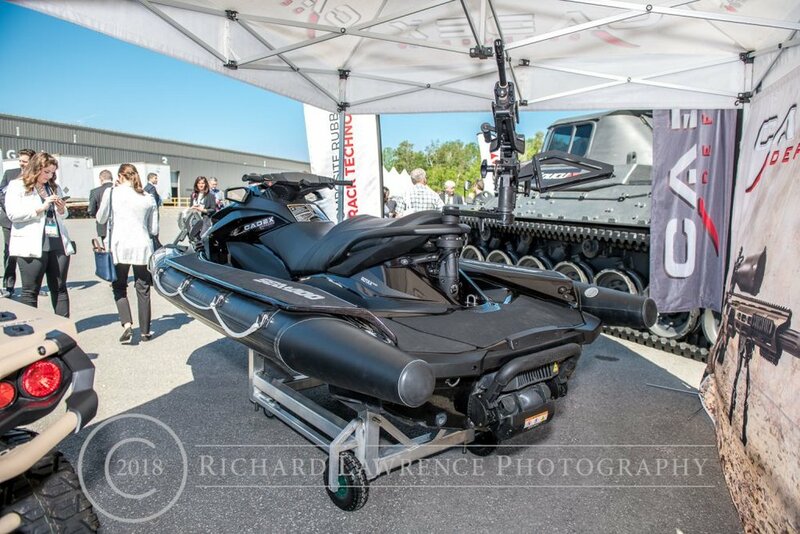 Buoyed by federal reassurances that Canada’s military procurement process would finally start crossing ‘T’s’ and dotting ‘I’s” on actual contracts, this year’s edition of the annual show was well attended by government employees and Canadian military personnel. A number of exhibitors remarked at the fact the aisles in the giant hall were standing room only. Attendance figures are sure to exceed the usual 11,000. Sponsored by the Canadian Associations of Defence and Security Industries (CADSI), the show also attracted government speakers to extol the high quality of jobs, investment and research that the defence industry brings to Canada. Ministers Navdeep Bains and Carla Qualtrough spoke of growing opportunities, while Chair of the Finance Minister’s Advisory Council on Economic Growth, Dominic Barton, walked a lunch time crowd through the potential for Canada’s economy available through the investments in research and development. Judging by the extraordinary applications of new materials and processes on display, Canada’s defence industry, in alliance with international partners, is surely looking at a bright future.